Nathan Fowkes Art: Austin Texas this weekend! 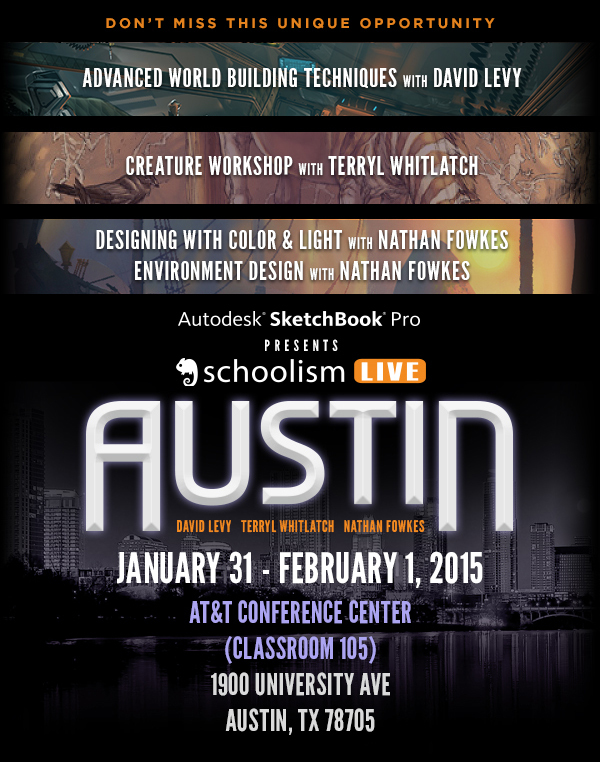 If you're anywhere near Austin Texas this weekend, come join me and the Schoolism live gang for a weekend of Artist's workshops! See you there!